With parenthood, your weekends change from unstructured relaxation sessions to…. that other thing, which is so far from that! Donate Naturally is the name of the company, and the other thing about them (as you can tell by the name) is that 15% of the purchase is donated to a charity of your choice. Having the opportunity to give back while not having to lift a finger but actually receiving something. Well, these guys are onto something. May I say, especially for overworked parents!?! *thanks to Jane (your go-to Stella & Dot jewellery source) for first mentioning Donate Naturally and also to Emma (Fashionable Strolling the City Mamma) for reviewing these bins first and giving me the great idea. 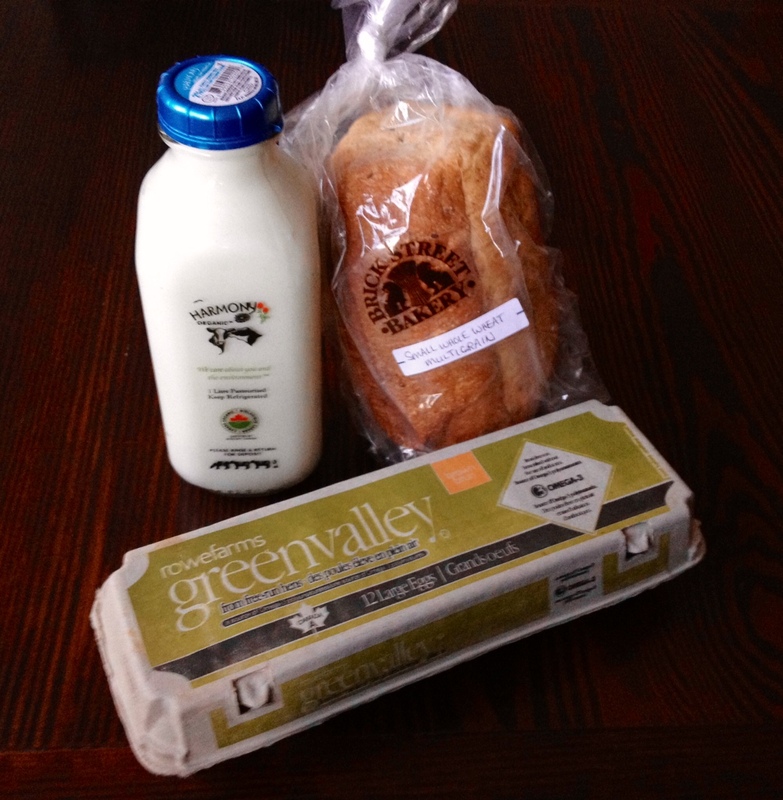 The bin contains Rowe Farm Eggs, Harmony Organic Milk, and Brick Street Whole Wheat Bread (the kind of bread that you want to sneak a piece of at midnight and smother in PB+J. With a glass of milk). 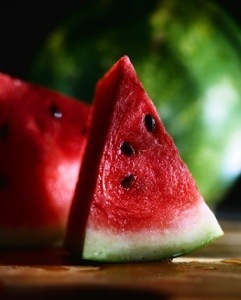 I was relieved to discover that seedless watermelon is a natural variety, not a GMO DNA BLA BLA BLA concoction. Even the square ones are just innocently grown in… squares…! 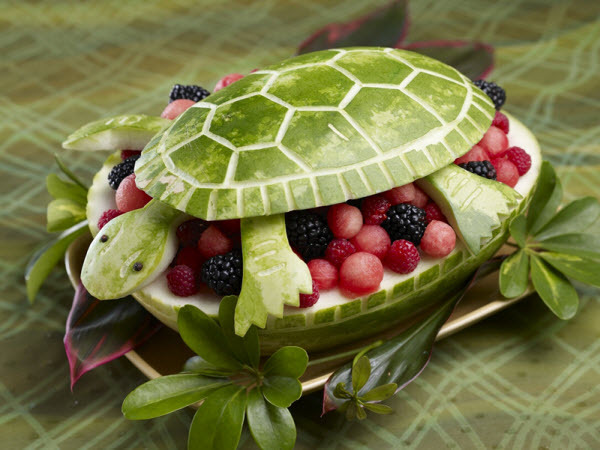 You just can’t hate watermelon. 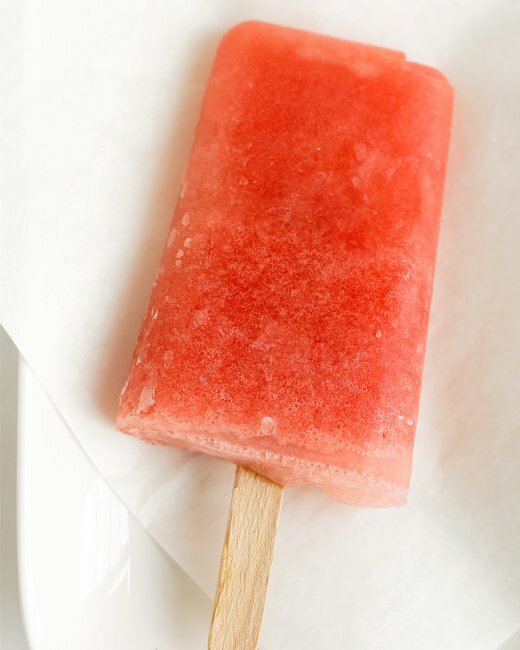 It can star in a cocktail, complete a BBQ, refresh a cold soup, cure a hangover, make a pretty awesome popsicle, and summer-up a salad. 1. Sculpt it. Kid friendly, right? Party idea for sure. 3. Blend it into juice. (It’s addictive. So good) It also happens to be an amazing hangover cure. 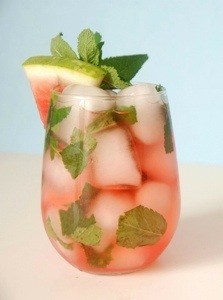 Jason (hubbie/bartender/co-chef) says: Blend watermelon, dash of cayenne, and gin with club soda or sprite, a dash of lime and some agave… Add ice, garnish with mint and citrus. Oh yeah. Yes please. Okay. 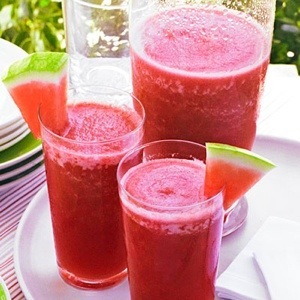 Watermelon cocktail. I want one. 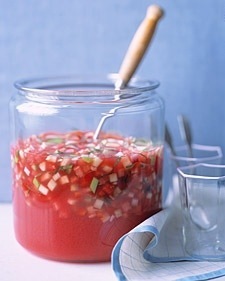 We had a spicy gazpacho like this at an amazing resort called La Samanna in St. Maarten and it was divine. If you’re thinking of a family friendly version, you could still try this Martha Stewart one, and potentially blend it, but leave out the jalapeno. 6. 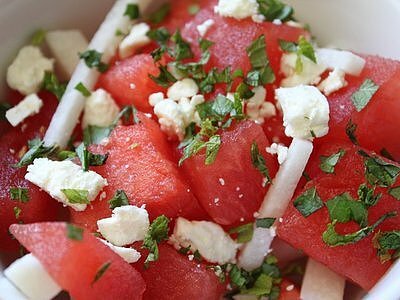 Watermelon, feta, and mint salad. This is one of my favorites ever. Delish! 7. Slice it up and eat it!